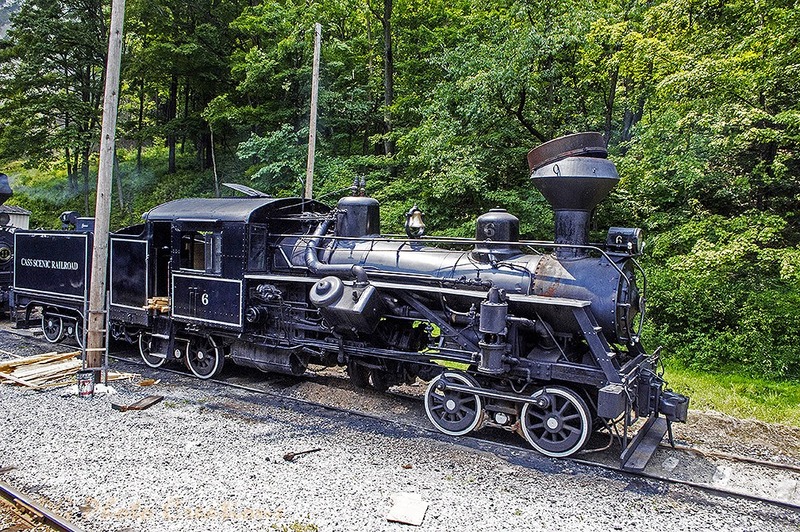 Today's image goes back to Cass Mountain Scenic Railway in West Virginia where they have one of the few of these locomotives still in operation. 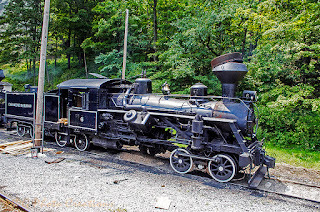 This is a Heisler type locomotive named for Charles L Heisler who designed it. It was not as popular as a Shay or Climax style, probably because it went into production after them but was a logging type geared locomotive. It's cylinders were set at 45 degree angles where a Climax was at 25 degrees. There were only about 625 of them produced but they were built up until around WWII while the Climax locomotives stopped production in 1928. This one sits warmed up and almost ready to go should it be needed that day at Cass to pull a train of tourists on the old logging route.